It’s been brewing for ages, this one (geddit??) But today is the day. With beer appearing not once, but TWICE on the tellybox today, I couldn’t resist. And to hell with my book-keeping. I’ve been distracted by This Morning doing beer cocktails with mixologist Oskar Kinberg (Calm down all you beer purists out there!) and then tonight hit show, The Apprentice has the candidates making beer (and having some serious issues!). I hear Tring Brewery, Banks’s and Brewdog all feature somewhere tonight! What do you think of beer’s portrayal on British TV? Do we see enough or beer? Or too much? Are we getting a fair image of beer? Or is it out-dated? What do you want? Is it high time for a beer show (not a drinks show) on British TV? If it is time, then who would you want to see appearing in your Fantasy TV beer show? Which breweries, where and why? Who would present the show and why? Anything else you want to throw in! I’m being nosey. Not plundering y’all for ideas (I’ve got work enough on my plate right now!) but I’d love to know what irks you about beer on TV, and what you’d like to put right if you had the chance? Or what’s made you happy about beer on the telly recently? 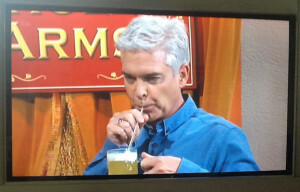 Beer cocktails today on This Morning! Pete Brown’s appeared as the expert in BBC Four’s The History of Pubs and The History of Drinking, amongst other things. Including one of my BBC TV features a few years back! Ok, this is going to sound slightly snobby but, coming from my experience in working in a pub up here in North Yorkshire, I find that there seems to be a lack of knowledge about the big wide world of beer. Up here it’s just “I’ll have a lager, it doesn’t matter” or a bitter. I routinely get asked whether or not Americans make beer besides the likes of Budweiser and Coors. I even had a customer ask if we drink anything not in cans because that’s all she sees on the Simpsons! I love to talk about beer but I find that a lot of the clientele is stuck in their ways because they don’t know or aren’t willing to try anything else–and our conversations end pretty quickly. I don’t want to be a beer snob so I tend to just smile and nod but then again, they’re missing out on so much (and so are pub owners too!) I think that pubs could gain a lot from offering new experiences to their clientele that is not otherwise offered in a grocery store. The Belgians, Americans, Italians, Danish, Dutch, etc. etc. etc. have a lot to offer not just in terms of their ubiquitous lagers but in some decidedly awesome and innovative beer. Since it seems that the only commercials on TV are for macro-lagers the public needs a different way of gaining exposure to some of the international community’s beers. Therefore, I think some beer travel TV or a “cooking with beer” show would be great or some “Meet the Brewer” type interviews with some people who are chucking anything into a brew and seeing how it comes out à l’American. NO it doesn’t sound snobbish at all, Maggie. I think you and I are on the same wavelength in terms of being beer lovers who want to spread the word about what else is out there, beyond the standard, really obvious stuff on offer, and help people learn more about it. Nothing snobby in that at all. Superb ideas for sure. Now we just need some clever TV execs to listen up!!!! A WHOLE program about beer would be fab, I always find that the “beer piece” is usually just that and whomever is talking the presenter(s)of the program through the beers often gets rushed or spoken over. Then the presenter(s) just get silly and giggly because they have had a sip of a couple of beers and one of them is 6% (ooooh!! )(felt that has happened to you BB) sorry rant over. BB and Melissa Cole to co-present! with me in the background sampling all the beers! Alex, I love it. You’re HIRED!! Melissa and I would raise the roof for sure. But back to the serious bit, I hear you and I think countless other beer fans would agree with you. It would be amazing for a show to have the time to include some beer education. When I drop a lot of facts and figures about at my parties, I get so many WOWs and REALLYs?? I get frustrated when there’s not enough of the background to the brewing process and ingredients on some shows. Knowledge=power and all that. Stories are key too – not just how a beer is made (although there are unique elements to each brewery) Thanks so much for commenting!!!! MasterBrew – Like MasterChef but with new brewers and proper expert judges! Loving the name! Who’s front it? Who’d be the experts? We live in a fast paced, twitter, quick wins world – people love short snappy snippets – personally it’s the way I read. I find twitter so much easier to digest than let’s say the Metro – it’s like i’m getting lots of little stories in an easily digestible format. I went to an American Beer night hosted by Zak Avery a few months ago. It was ace. He didn’t have time to go massively in depth on stories etc as we had many beers to get through on the night – but he gave little insights into stories, history, brewers etc – to me this then spurred me to find out more – find something out for yourself and it’s a lot more rewarding and memorable. Could there be something that is region specific, like when they cut to the local news or weather in the middle of a news programme – so if it was on in Yorkshire one week you’d have 5 mins on Magic Rock, then the week after Saltaire Brewery. Then in London at the same time people would be watching a Camden article, Beavertown etc. That way it gives people an introduction to what’s around them. Also treat beer like a part of culture, because that’s what it is. Beer, music, film, design, photography etc – they’re not mutually exclusive, they go hand in hand. Yes you’ll get an audience of beer lovers watching the show if it’s a programme about beer, but what about those who want to find out more or get an introduction to beer? Maybe a piece on beer mat design will attract more people who’ll get introduced to beer through it, like designers. Perhaps a different presenter each week who’ll take their own slight angle on it? Few, think that’s enough, time for a beer. Hi Ben, go get that beer cos you’ve earned it! I hear you: the audience doesn’t need to be bogged down in too much info but snippets will do, right? In order to spark people off on their own beer adventures, their own research. I like that. So maybe Beer Bites? Not even 30min programmes, but maybe even 10mins of focus on a specific topic, region or brewery. The key is not to overload people, which would be essential as it’s been eons since anything like the indepth quality of Beer Hunter thanks so much for those really thoughtful suggestions on this debate. Exactly! Beer Bites , Little Sips. Love the idea of a 10 minute show. A TV show for 10 mins but then collate each one online (maybe like iplayer) so you have an area for all the varied topics. Then you can download and select by category/tag like you would on a blog. Also makes it versatile and more accessible for people who are time pressured to watch a whole half hour or hour. You’re prob more likely to watch smaller chunks! Do you work in TV? Lol! hi mate – wow, what a set of questions – and I’d imagine you’d get different answers with everyone. So – to make it easier – I’ll just roll with what *i’d* like to see. My own choice would be a programme like Coast – serious beer features, social history peices, pub life, pub history, and brewery history, perhaps centered on a region in the UK each week. It’d be presented in a ‘co-op’fashion, as Coast is – with local experts (brewers, publicans, writers, etc) presenting segments with a small core of professional presenters. God knows who would front it; would depend on the segment! There would be food, too – but not in a studio with an audience; in the pub kitchens, in the restuarants, in the breweries. I’m not sure how it would go down, but surely there would be a TV company out there wanting to take a shot with a serious beer programme without doing it in a gimmicky way? In the meantime, I’ll settle for regular features on food and drink shows to be honest! Liking the Coast feel of the show, with a core of experts and guest experts in each region – spot on. Do you think a show just focusing on beer would work though? I keep hearing ‘beer is too niche’ as an excuse to not commission a beer-only programme. Are the TV execs right or wrong? I agree with you the show definitely has to be non-gimmicky and needs to be authentic too. 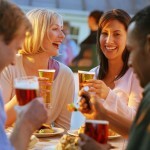 Food is essential too – about appreciating beer with food and cooking with beer, perhaps? Beyond ‘Beer Can Chicken’! lol! I say grab a random selection of people (comedians, writers etc, and normal people) and get them tasting different beers in a variety of pubs. But also a pile of interesting conversation topics, because what’s a pub without good conversation? So beer is at the centre of the show but conversation around it. Needs to be good beer or ale with its raison d’etre and its history explained before delving in. A bit like the Richard Bacon’s Beer & Pizza Club but beer being more important than just being a bottle of generic lager, perhaps?! As long as it doesn’t descend into a ‘boys club’ type panel show: telly is too full of those already! A mixed crowd would surely be more fun, right? Ah, well you see – it’s not *just* beer is it? An item about, say, Saltaire Brewery could form part of a item about the town and titus salt, for example? It depends how far you want to weave the social aspect of it. Yes, it would be about beer, but they are happy to make programmes featuring top gear presenters and such racing round drinking it, aren’t they? I rarely ever spot beer on TV apart from adverts, and those aren’t the beers I’d be interested in anyway. Basically, I think a beer show has a place on TV but it has to go beyond casks and pumps and bottling lines. While a good number of folk would be interested in a ‘how it’s made’ style show, I think those people would still be the minority. Made in the right way, I think a beer show could draw in people who may not otherwise be interested and, in turn, get people spending more money at local pubs and breweries. If I had the opportunity, I’d focus on the bigger picture – the stories behind the beers, the people who made it and their local communities. Almost like a mini-documentary format that focused on different regions on each episode and the breweries and beer lovers in those areas. Features on unique or interesting pubs might work too, and all of this would have to be upbeat and fresh or it just wouldn’t work – no dingy pub carpets or chewed-up dart boards! I’m torn on who might present something like that though. On one hand you can bring people into the fold with a well-known, entertaining presenter, but they may not be the most knowledgeable about beer. There’s a chance they’d be better at presenting than someone who had no experience in front of the camera but knew a lot about the industry. Maybe the best solution would be a combination of the two. Right, I’ll shut up now! Out of curiosity, are you thinking of pitching ideas to channels for this? I really would like to see it happen. I think you’ve got it, pubs, the beer they serve and the breweries which make that beer should be included. So many people don’t know the extent to which some pubs are the hubs of our communities and the contribution the beer & oub industry makes to the UK economy. A show which looks at pubs and beer in a ‘drinking responsibly’ and ‘you can have fun’ mode will surely balance up all those scary ‘Drunk & Dangerous’ observational documentaries we keep seeing on TV. I think, though it’s fair to show what happens sometimes, it feels skewed and the balance should be redressed. I think once people see the other side of the beer & pub industry, it might encourage people to go out and support them more. Slow down the rate of pub closurss do! Lofty aims, eh! I’d find any program featuring pubs and beer interesting. I well remember The Beer Hunter series and loved it. There has been a few things since such as Gerry Robinson trying to help a couple of ailing micro breweries in Gerry’s Big Decision. I think I’d like to see a fly on the wall show behind a variety of pubs showing how and where they source their beers (difference between tied and non-tied would be an eye opener for many), their customers (city versus rural) and how they see the future of their business. The same thing behind a large beer festival such as the GBBF would be good as well as the same thing behind a variety of breweries. Not much to ask for all of this surely !! As to who to present it, me of course. Although realistically someone like yourself to bring the female angle to it. Glenn, you’re very kind! I like the idea of poking a nose around the GBBF, I know CAMRA did their own video series last hear on this: would be fab to get to a mainstream audience though. Excellent ideas. Makes you wonder if anything will ever materialise on our screens a la Beer Hunter again: insightful and educational. Hi BB, I’m going to write this without reading the other comments first so as not to be swayed from my own thoughts so apologies if I’m repeating old news so to speak. Food or more specifically beer and food in all it’s various guises. A modernised version of The Beer Hunter?? Hey, Phil – a modernised version of The Beer Hunter, for sure. Studio and location mix is a great idea. For some reason I was always thinking a show should be just on location. 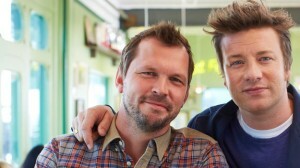 If you had studio, then you could also taste test an audience or ‘celeb’ guests? Getting out to events is also a great idea because you can get to some of these amazing festival like Grillstock and Ludlow Food Fest where there’s all kinds of potential for beer and food pairings! DEfinitely need laughter and smiles, and NO, repeat NO, oompah-pah brass band music that we hear a lot in some damn pub videos 😉 Nice work, man – cheers for contributing some more fabulous sense to this debate! Katy Perry loves Banks’s Mild beer!!! 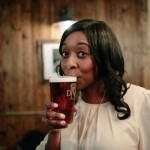 Beer on the telly – Annabel Smith!! Beer gets dragged into the sugar debate….